Hello everyone! 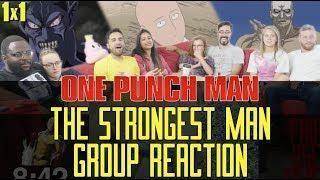 We will begin posting reactions to One Punch Man every Wednesday alongside Avatar! You can check out these episodes in advance on our Patreon. For now please enjoy Episode 1 of One Punch Man! What did you think of episode 1×1 – The Strongest Man?